Three men have been charged with second-degree murder in the deaths of three Six Nations residents last year near London, Ont. Ontario Provincial Police and Six Nations Police Service made the announcement at a news conference Thursday afternoon. 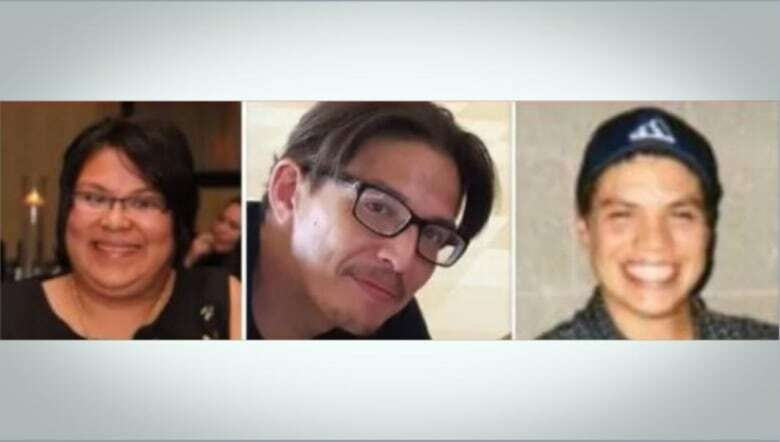 Detectives have been investigating the deaths of Six Nations of the Grand River members Melissa Trudi Miller, 37, Alan Grant Porter, 33, and Michael Shane Jamieson, 32. Police have charged Nicholas Shipman, 36, with three counts of second-degree murder, Thomas Bomberry, 30, with two counts of second-degree murder and Jamie Beaver, 32, with one count of second-degree murder. The bodies of the victims were found on Nov. 4, in or near a stolen grey pickup truck in a field at Bodkin Road near Jones Drive, about a half-hour drive outside the southwestern Ontario city. Miller, a mother of five, was seven months pregnant. “I’m losing a nephew I’ve never even met. So please, somebody,” said Trevor Miller, Melissa Miller’s brother, in November. His words were part of two tearful public pleas the victims’ families have made for information. Police issued a video with childhood photos of the victims to encourage people to call in with leads. Montour said in November that there’s a “reluctance” in the community to work with outside law enforcement. “We need to build that trust,” he said. Police had already charged one person in connection with the deaths: Kirsten Bomberry, 36, from Six Nations, with three counts of accessory after the fact to murder. The bodies were found in the same area where the remains of Douglas Hill were discovered in August 2017. Media reports indicate the 48-year-old Brantford man was Melissa Miller’s common-law spouse. Det. Supt. Ken Leppert from OPP Criminal Investigation Services and Supt. Catherine Yeandle-Slater, OPP West Region director of Operations, joined Montour, of the Six Nations police, at Thursday’s news conference at The Gathering Place by the Grand in Ohsweken.